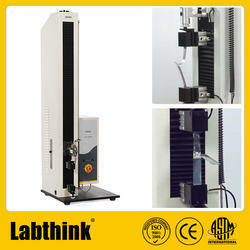 Owing to our in-depth knowledge of this domain, we are specialized in providing Tensile Testing Service. Tensile properties of Plastics provide very useful information for its engineering design purpose. Characteristics such as Tensile strength, Elongation, Elongation at Yield, Modulus of elasticity and other tensile properties can be determined. 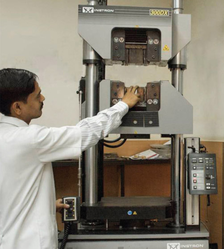 We are the leading organizations, highly engaged in providing optimum quality Tensile Testing Service. The provided service is carried out by our skilled professionals using the finest grade tools and modern technology. This service is performed in the best possible manner within the scheduled time-frame. Further, this service can be availed by our clients at the most affordable price. We offer Testing Services on our product range on the product. These are provided on the special request of our clients by our highly experienced technical staff. The various testing services we offer includes NACE MR 0175, H2, impact, hot tensile, HIC, hydro, PMI, hardness test. Process of exercising a product/sample and analyzing its resulting response to check whether the product functions correctly or the sample overcome the process criteria is known as testing. Seeds Enviro Labs provides various versatile testing services. Divine Metallurgical Services Pvt. Ltd.